The world is situated on the verge of getting completely digital. In this non-stoppable digital society, two words are always in buzz – cloud computing and cyber security. Everyone is involved in getting a higher rank among other competitors while at the same time, few giants of cloud computing are concerned about providing an optimised solution to improve their environmental performance. The cloud vendors like Amazon, Microsoft, and Google are the key players in the market who are trying to achieve the completely robust and secure environment for their consumers. Practically speaking, from computing services like EC2 and storage by S3 or drive to automated chatbots developed over Lex, everything is interconnected and point towards the cloud. Everything is running smoothly until we require to keep sensitive information over the Cloud. On this occasion, you’ll hear the screams of the companies ached with cyber-attacks in the past few years. Cloud computing market is expected to touch $141.43 billion by the end of this year, which was $128.88 billion in the last year. Cloud has automated almost all businesses with its leveraged systems like CRM, PSA, ERP, EMM etc., hosted over the remote servers. Apart from it, the Cloud has potential to spread its wings among various sectors and of course its evolving. There is no doubt that the security of data centres offering these services is the same as the data encryption for securing sensitive information. The need for SSL encryption will get changed in the future. The 256 bits encryption will again be replaced with the likes of 56 and 60-bit encryptions. Gartner has predicted that the attacks on public Infrastructure as a Service (IaaS) products or services will be 60 percent fewer than those on the vendor’s physical infrastructure. The requirement for security is continuously increasing, and maybe this is the reason cybersecurity market is predicted to reach $231.94 billion by 2020. With the demand for network security, physical infrastructure also needs secure access. Implementation of biometric authentication tools has become common to protect such environment. As most of the organisations are migrating towards the Cloud, they need to implement prior security solutions in their routine. Among the basic computing models – public, private and hybrid – the hybrid approach has emerged as the most sensible model. Most of the small to big scale organisations are leveraging this technology by keeping their sensitive information on private Cloud and raw or non-valuable data over the public Cloud storage. According to Forrester’s prediction, the public Cloud computing model enabled businesses and applications will touch $236 billion with 22 percent of CAGR rate in between the years 2015-20. Major Cloud vendors are adopting higher and better security than most of the enterprise data centres. But, it is not easy for organisations to simply migrate their whole workloads over Cloud models. Security groups are needed to examine before putting services on their public IaaS model. Eliminating human hands entirely from the processes by making them completely automated is also one of the major reasons behind the attacks. We need to migrate cyber security over Cloud computing in order to recognize and defeat those attacks in real-time. Cloud can inherit the power of Big Data analytics, AI or machine learning to instantly address such threats and create a powerful model to overcome such issues. Cloud has already enabled the SaaS, PaaS or IaaS like features to develop such automated applications on its platform. Using these services to deliver effective tools for detecting intrusions and creating an algorithm by analysing the pattern of attacks, will be very helpful. If you want to become the part of this wonderful developer’s journey, you can join AWS Developer Training to deeply understand the concepts of Cloud models and services. 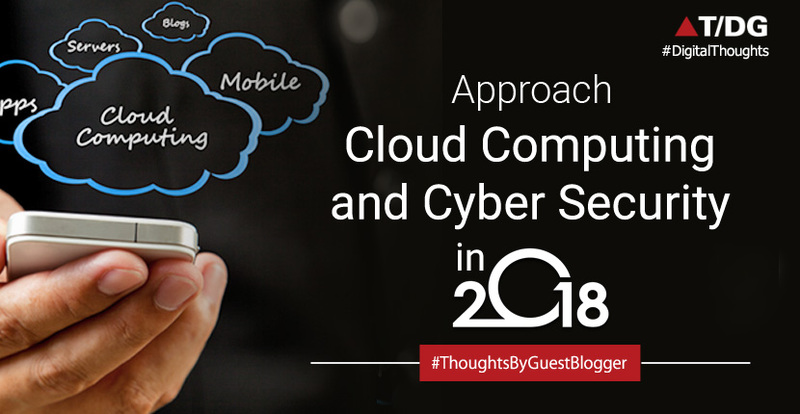 Thus, it's very essential that Cloud and cyber security shake hands together by making a collaborative approach to monitor threatening events and present a reliable infrastructure.